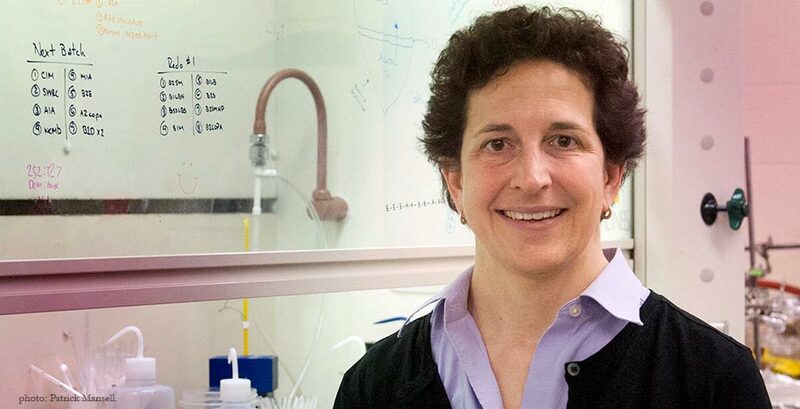 Katherine Haines Freeman ’84 was recently elected to membership in the National Academy of the Sciences (NAS), a crowning achievement for American scientists. Freeman is a professor of geosciences at Pennsylvania State University. At Wellesley, Freeman double-majored in geology (see Wellesley Geosciences) and classical civilization. After graduation, she earned her M.S. and Ph.D. in geology at Indiana University. As a graduate student, Freeman participated in the creation of a major analytical advance that enabled scientists to measure the abundance of stable isotopes of certain elements within individual organic compounds. That instrumentation is now used in many fields, including energy research, forensics, and the food industry, as well as Freeman’s own current research. Freeman has published extensively and has served as a mentor to many students. She is, or has been, a fellow of many distinguished organizations including the John Guggenheim Memorial Foundation, the Geological Society of America, and the European Association of Geochemistry, which gave her the Science Innovation Award in 2012. She has also received recognition for excellence in teaching throughout her career. Members of the National Academy are charged with providing independent, objective advice on matters related to science and technology. According to a National Academy of Sciences press release, there were 84 new members and 21 foreign associates from 14 countries elected this year. The total number of active members in the organization is 2,179; the total number of foreign associates is 437.